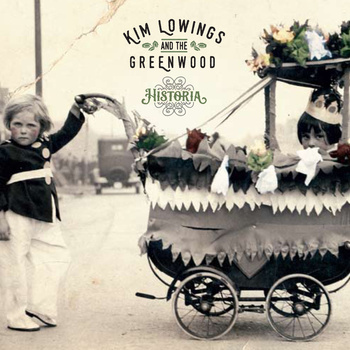 If you want conclusive proof that the future of folk music in the Black Country is in rude health then look no further than the new album from Kim Lowings and the Greenwood. The record scores the first of many outstanding points with surely the most inspirational of album titles to emerge this year. Succinct to the core of its single word constitution, HISTORIA is the Ancient Greek take on learning from the past to inform the present and look to the future. The whole embodiment of this sentiment resides within Kim’s second full length release and one revealing a confidently assured singing-song writing performer to the ears of the listener. Whether re-interpreting classic traditional folk songs or using the power of observation and association to form an immensely ear catching original composition, Kim succeeds in engineering an acutely balanced album capturing the essence of her creativity, beautiful vocals and the combined talents of her assembled musical compatriots. Checking in at forty-seven minutes long takes the album into optimum listening territory and rarely does it fail to engage the listener. The option to devour the lyrics or just kick back and savour the sonic appeal is available to all, although the only recommendation from these quarters is to do both. There can be only one place to commence the song analysis and that is a piece showing an increased versatility to reach out a little from an entrenched folk base. 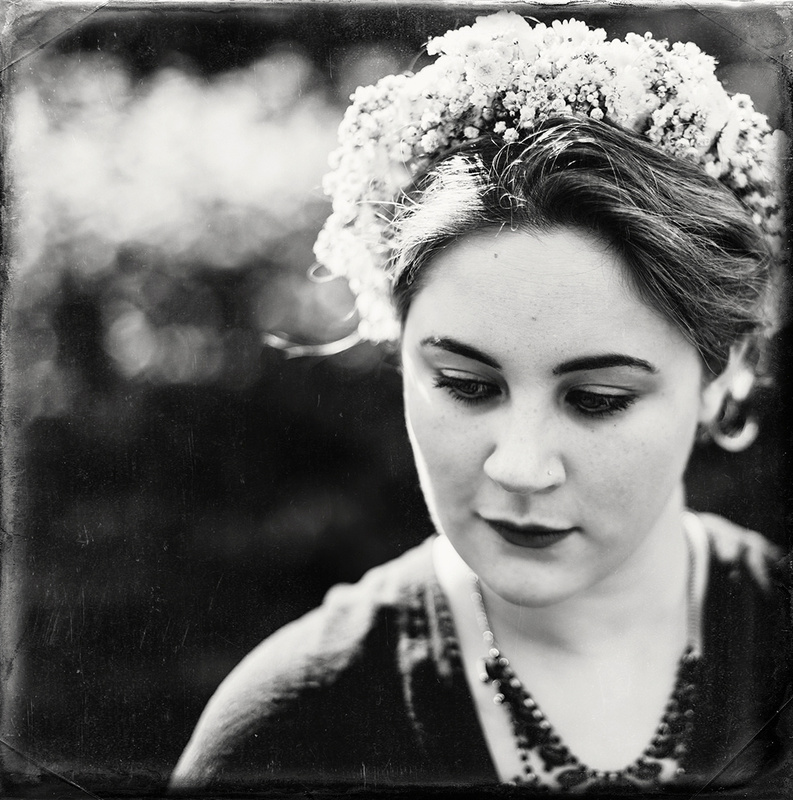 While ‘Maggie’s Song’ is essentially a folk song for the twenty-first century, and introduced by a family recording very much in the style of how folk tales were collected from the field throughout the ages. What follows is by far the most contemporary sound Kim has recorded or played live in her brief career. In the possession of a catchy killer chorus supported by a stellar melody, this stand out track shines like a beacon in attracting popular appeal, while remaining true to the core of substance and quality. No doubt many fans of the folk genre will identify with and assess Kim’s take on the three traditional songs to feature on the record. ‘Dark Eyed Sailor’, ‘Bonny Labouring Boy’ and ‘The Blacksmith’ each have a lengthy recording history and there are no blemishes on Kim’s interpretation. A popular recent version of the first of this trio was Olivia Chaney’s BBC session and Kim’s is not out of place in this lauded company. However far from dwelling on the traditional, which is obviously a key component of HISTORIA, it is the originals that put the marker down for the true depth of the record. Heading these in album order is ‘The Wood Wife’ which evolves into a strong messaged fable-like piece of work, rich in morals and lessons. Like many songs in the folk tradition, further background is likely to emerge in the live shows and many dates are lined up following the album launch gig in Kim’s hometown of Stourbridge in October. If the opening track had the feel of the past about it, the follow up number ‘I’m Still Here’ is right to the core of the modern world and will resonate with many listeners. Ultimately it deals with workplace tension in a brave way and plants the seeds of an alternative outlook. A couple of songs have been circulating around Kim’s live shows for a while. ‘Alfrick’ is an instrumental piece arranged by Andrew Lowings and provides a jaunty mid album word-free break to rejuvenate your listening acumen. At this stage it is polite to introduce the Greenwood who has a core of Andrew (guitar, bouzouki), Tim Rogers (Cajon, percussion) and Dave Sutherland (bass). Alongside the bouzouki and Kim’s trademark Mountain Dulcimer, another traditional instrument in the guise of a cittern makes an appearance courtesy of Leon Gormley. It has often been noted when seeing the band live on several occasions, the value of the violin from Anna Oprenova. While this has been infrequent of late, Anna’s services have been secured for the record with resounding effect. Dave Draper assisted Kim with the production duties and provides the electric guitar input to re-enforce the modern tinge. Last but not least on the album credits, is the backing vocal contribution of Ange Hardy. These backing vocals appeared on one of the songs which have previously been featured in a live show. ‘Monsoon’ is a highly descriptive and striking track painting the image and emotion of experiencing extreme weather in Singapore. It has a powerful conclusive segment to cement the effect of the song. While on the topic of emotion, ‘Regrets’ is another excellent inclusion to the album and tells of a thought provoking encounter with a stranger while creating the backdrop for the vocals to flourish. Earlier in the album, Kim had taken down the sound to a sublime sleepy level with the delightfully and simply titled ‘Lullaby’, explicitly doing what this suggests. By opening with the chorus, this implies an element of diversity to Kim’s song writing and this notion can also be applied to the excellent ‘Willow’ which concludes the track list. Rich in personification and personal perception, Kim truly cracks the song writing process with this effort and it matches up well with the entirety of the album. This is a valued and proud record showing Kim Lowings as a purposeful singer-songwriter marrying the talents of those in her midst. From a modest infrastructure, a record fully deserved of praise on a grander scale has emerged. For an honest and creative take on the past, present and future, HISTORIA is the perfect album, with Kim Lowings and the Greenwood being defintely a band to investigate further.